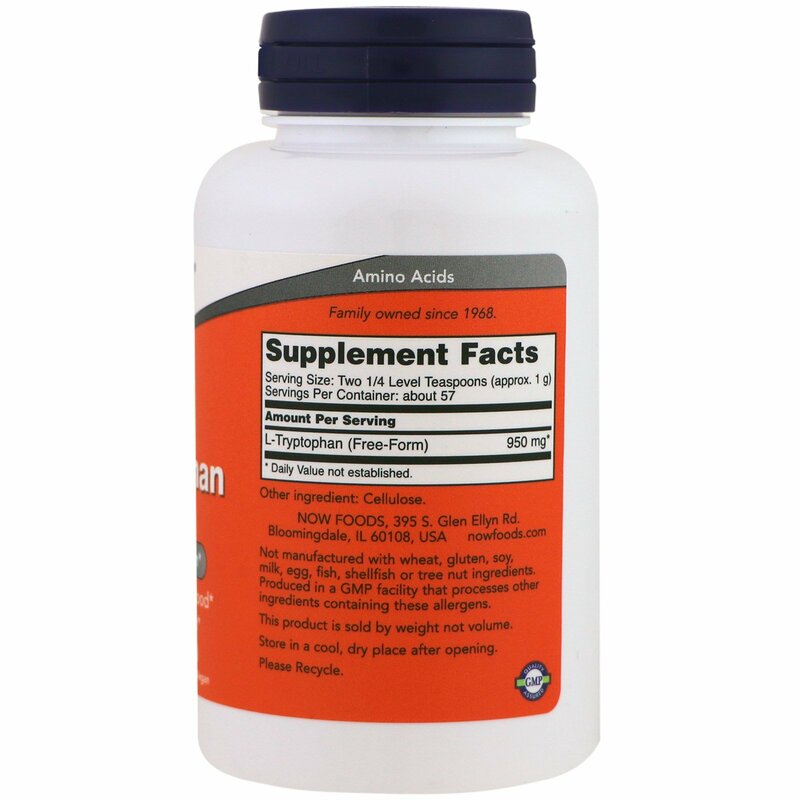 L-Tryptophan is an essential amino acid; therefore, it is not synthesized by the body and must be obtained from the diet. 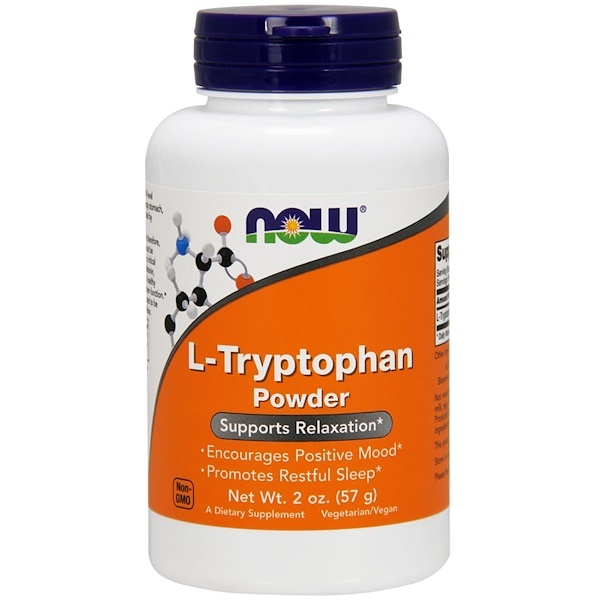 L-Tryptophan is critical for the production of serotonin and melatonin, which help to support a positive mood, healthy sleep patterns, and proper immune system function. 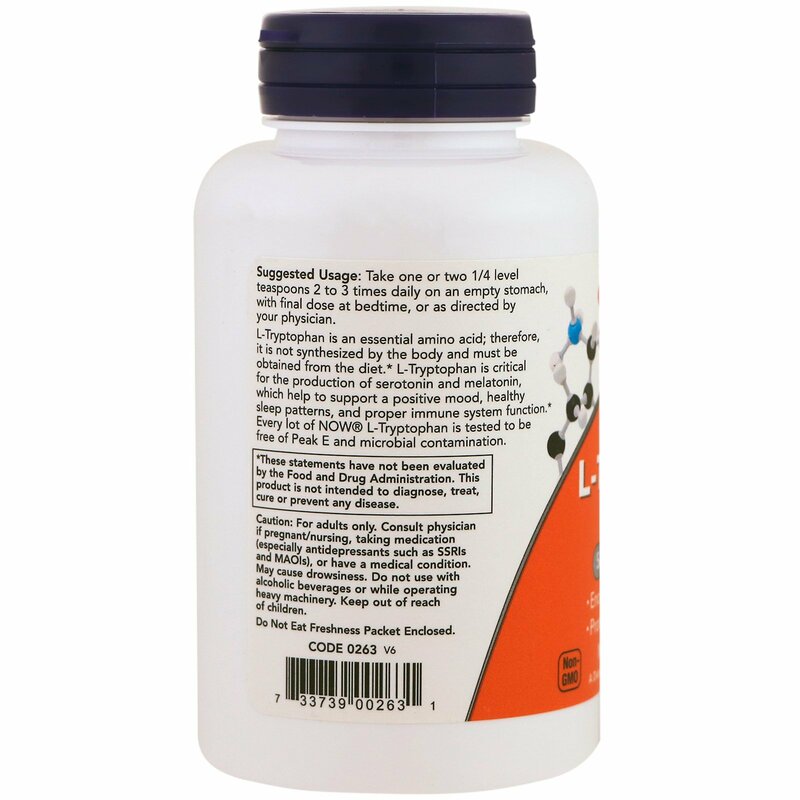 Every lot of NOW L-Tryptophan is tested to be free of Peak E and microbial contamination. Take one or two 1/4 level teaspoons 2 to 3 times daily on an empty stomach, with final dose at bedtime, or as directed by your physician. Caution: For adults only. Consult physician if pregnant/nursing, taking medication (especially antidepressants such as SSRIs and MAOIs), or have a medical condition. May cause drowsiness. Do not use with alcoholic beverages or while operating heavy machinery. Keep out of reach of children.